Georges Karam is president and chief executive officer of Sequans Communications. Before founding Sequans Communications, Georges Karam was vice president of cable access for Juniper Networks, running the cable engineering and marketing departments and managing the cable sales launch in EMEA. He joined Juniper Networks when the company acquired Pacific Broadband Communications (PBC), where he was the first executive of the founding team to act as vice president of engineering and general manager for Europe. Georges has served in a variety of senior management positions at Alcatel, SAGEM and Philips. He is a senior member of IEEE, has authored numerous technical and scientific papers, and holds several patents in digital communications. Wes Cummins has been an analyst with Nokomis Capital, LLC, an investment advisory firm, and is currently a director on the boards of Telenav, Inc. (NASDAQ: TNAV) a leading provider of location-based platform services, and Vishay Precision Group (NASDAQ: VPG), an internationally recognized designer, manufacturer and marketer of resistive foil technology, sensors, and sensor-based systems for niche, industrial applications. Previously, Mr Cummins was an analyst for Harvey Partners from March 2011 to September 2012. Prior to that, he was employed by B. Riley & Co. (NASDAQ: RILY), an investment banking firm, where he served in positions of increasing responsibility, beginning first as an equity research analyst in 2002, then a director of research, capital markets director, and finally as president of B. Riley until his departure in 2011. Maïlys Ferrère currently leads Bpifrance Large Venture, a €1 billion late-stage venture capital investor in French companies for the purpose of growing them into global leaders. Bpifrance Large Venture has invested in over 30 companies in the tech, biotech and greentech spaces. 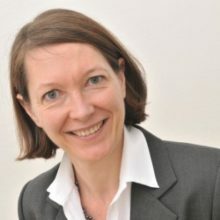 Before joining Large Venture in 2013, Ms. Ferrère was an investment director at the Fonds Stratégique d’Investissement. Ms. Ferrère is also a board member of other companies including DBV Technologies. She is a graduate of Sciences Po (IEP Paris). Yves Maitre has served as a director since June 2014. 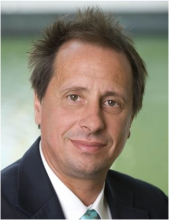 Mr. Maitre is currently Executive VP for Connected Objects and Partnerships at Orange Corporate where he is responsible for managing Orange’s relationships with global device makers as well as partnering with ecosystem players from chipset upwards to internet companies. Prior to joining Orange, Mr. Maitre spent six years working for the consumer electronics company Thomson. He was President of Key MRO America, a subsidiary of Thomson United States and whilst living in Singapore he worked for Thomson Asia as Director of Manufacturing Supply Chain and Product Management. Before Thomson, Mr. Maitre spent five years as the COO of Quante-Pouyet, a subsidiary of 3M, making connectors for the telecoms business. He is also a Board member of Orange China and several midsize / start-up companies. Mr. Maitre is an Engineering graduate in Nuclear Physics from Polytech Grenoble (France). Richard Nottenburg is an investor in early stage technology companies and a business consultant. He served as president, chief executive officer, and member of the board of directors of Sonus Networks, Inc. from 2008 through 2010. From 2004 until 2008, Richard was an officer with Motorola, Inc., ultimately serving as its executive vice president, chief strategy officer and chief technology officer. He served on the boards of Aeroflex Corporation from 2010 until 2014, and PMC Sierra, where he was a member of the audit committee, from 2011 until January 2016. 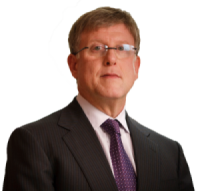 Richard is currently a member of the board of directors of Violin Memory Inc., where he is chairman and a member of the compensation, corporate governance, and nominating committees, and Verint Systems Inc., where he is chairman of the compensation committee. Hubert de Pesquidoux has served as a director since March 2011. 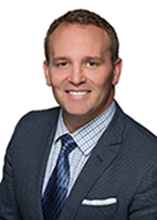 Mr. de Pesquidoux is an Executive Partner at Siris Capital, a private equity firm focused on making control investments in data/telecom, technology and technology-enabled business service companies in North America. From 1991 until December 2009, Mr. de Pesquidoux held various positions at the telecommunications company Alcatel-Lucent SA (and its predecessor, Alcatel S.A. and its affiliates), where he most recently served as Chief Financial Officer from November 2007 until December 2008 and as President of the Enterprise business from November 2006 until December 2008. Mr. de Pesquidoux was also previously a member of the Alcatel Executive Committee and held various executive positions including President and Chief Executive Officer of Alcatel North America, Chief Executive Officer of Alcatel Canada (formerly NewbridgeNetworks) and Chief Financial Officer of Alcatel USA. Mr. de Pesquidoux also served as the Chairman of the Board of Tekelec and currently serves as a director and audit committee chair of Radisys Corporation, Mavenir Systems, Inc. and Criteo S.A., as a director of Transaction Network Services and as executive chairman of Premiere Global Services, Inc. and of Xura. He is also a member of the University of Pittsburg Medical Center Information Technology Board of Visitors, which advises UPMC on matters generally related to information technology strategy, acquisition and implementation. Mr. de Pesquidoux holds a Master in Law from University of Nancy II, a Master in Economics and Finance from Institut d’Etudes Politiques de Paris, a DESS in International Affairs from University of Paris Dauphine and was a laureate in the “Concours Général de Droit”. Dominique Pitteloud has served as a director since January 2005. Mr. Pitteloud has been a Managing Partner with Ginko Ventures in Geneva since 2015, was a partner with Endeavour Vision from 2007 to 2015, and was a principal at Vision Capital from 2001 to 2007. Mr. Pitteloud is also an advisor to ASSIA, a provider of DSL management solutions. Mr. Pitteloud also serves as a director of number of private companies. Prior to becoming a venture capitalist, Mr. Pitteloud was vice president of marketing at 8×8, a Silicon Valley semiconductor and telecommunication company, which he joined in 1999 as part of the acquisition of Odisei, a VoIP start-up from Sophia Antipolis, France. At Odisei, Mr. Pitteloud led the development of the company’s business and financing activities. Prior to Odisei, Mr. Pitteloud held various engineering and management positions at Logitech, including Vice President of the scanner and video camera business units. Mr. Pitteloud received a BS in electrical engineering and telecommunications from the School of Business and Engineering in Vaud, Switzerland and an MBA from Santa Clara University. Alok Sharma is the Chief Executive Officer of MobileNerd, cloud based SaaS (Software-as-a-Service) company that delivers virtual computing environments for education, training and distance learning applications with the objective of optimizing IT infrastructure and eliminating Digital Divide. Earlier, Alok was Senior Vice President, Corporate Development and Alliances, at Harris-Stratex, Microwave Division of Harris Corporation (NYSE: HRS), where he was responsible for leading corporate strategy, mergers and acquisitions, as well as the development of key strategic relationships for the company. Beginning in June 2004, Alok was the Founder and Chief Executive Officer of Telsima Corporation, a global provider of 4th Generation (4G) broadband wireless solutions, until it was acquired by Harris-Stratex in February 2009. Prior to Telsima, Alok was Vice President and General Manager of the Worldwide Cable Business at Juniper Networks (NYSE: JNPR) from December 2001 to May 2003. Before Juniper Networks, Alok was the Founder and Chief Executive Officer of Pacific Broadband Communications which was acquired by Juniper Networks in December 2001. Prior to that, Alok held senior management and technical positions at Hewlett Packard, Fujitsu/Amdahl, Integrated Device Technology and Siara Systems, a metro routing company acquired by Redback/Ericsson. Alok received his PhD in Electrical Engineering from the University of Wisconsin-Madison, holds 7 patents and has authored several articles in leading academic and trade publications. Zvi Slonimsky has served as a director since November 2006. Since 2005, Mr. Slonimsky has been chairman of the board of several Israeli high tech companies, currently including Maradin, Pentalum, QDM, and Surf, and previously Alvarion, Awear, Extricom and Teledata. He served as CEO of Alvarion Ltd. from 2000 to October 2005, following Alvarion’s establishment via merger of BreezeCOM and Floware in August 2001. Prior to the merger, Mr. Slonimsky was CEO of BreezeCom. Before that, he served as president and CEO of MTS Ltd. and was general manager of DSP Group, Israel. Earlier in his career, he held senior positions at several Israeli telecom companies, including C.Mer and Tadiran. Mr. Slonimsky holds a BSEE and a MSEE from the Technion Israel Institute for Technology and an MBA from Tel-Aviv University.